On September 7, Theophilus Patey was granted 470 acres on Wampacheeoone Creek (Boone Hall Creek). It is not known if he did anything with the land.
?  Elizabeth Patey, daughter of Theophilus Patey, married John Boone. It is believed that Theophilus Patey gave the couple about 400 acres as a wedding gift. This land became known as Boone Hall Plantation. John Boone eventually acquired more acreage that ran along Boone Hall Creek, Long Point Road, and a good portion of Highway 17. At this time the property became known as Boone Hall Plantation.
?  It is not known when John Boone built a house on the property. John Boone was one of the first settlers of the colony arriving sometime in 1672. He was elected to the Grand Council during the 1680s but was removed twice (1685 and 1687) because he illegally dealt in Indian slaves, associated with pirates, and concealed stolen goods. These acts did not appear to ruin his political career as he continued to hold local offices such as tax assessor and highway commissioner (5). 1711-1718  John Boone died. The exact date is unknown but his will was made in 1711. He left a third of his estate to his wife, Elizabeth Patey, and allowed her to live on the plantation for as long as she wanted. She also received all of John's material possessions in the house. The remaining part of the estate was divided among his five children: Thomas, Theophilus, Susanna, Sarah, and Mary (11).
?  It appears that Thomas Boone made Boone Hall his home. When he died in 1749 he left the plantation to his son, John Boone. 1776  John Boone wrote his will. In his will Boone Hall was left to another John Boone, a nephew. The will also mentions 9 slaves and it appears that John Boone made an attempt to keep these slaves together. The will also leaves a plantation in Prince Frederick's Parish to another nephew, William Boone. It is not known at this time the name of the plantation (12). 1792  John Boone (the nephew) died and left Boone Hall to his wife, Sarah Gibbes Boone, and his children, Thomas, Susan, and Maria. It is not clear if any of them ever lived on the plantation. An inventory of his estate was done in 1793 which listed slaves, crops, livestock, and household items. 1811  Sarah Gibbes Boone and her children sold the plantation to Thomas A. Vardell for $12,000. The sale was for 1,452 acres and all buildings on the property. 1817  Thomas Vardell sold the plantation to John Johnson, Jr., Hugh Patterson, and George K. White for one dollar for the purpose of paying his debts. The sale included an established brickyard and all the slaves residing on the property. It is not known what these three men did with the property. However, this same year Henry and John Horlbeck came into possession of Boone Hall. The Horlbeck brothers were in the brick business. They built many houses in downtown Charleston using the brick from their plantations. Some of the buildings include: the German Friendly Society Kitchen, St Stephen's Episcopal Church, and St John's Lutheran Church (6, p. 341, 344, 421). 1837  Henry Horlbeck died and left the property to his brother, John. 1839  John Horlbeck sold the plantation to Henry's children. 1842  The children decided to turn the plantation over to four of the brothers: Henry, Daniel, Edward, and John. 1843  The Horlbeck brothers began to construct the Avenue of Oaks that lead up to the plantation house. There is some controversy as to when the avenue was started. Some believe it was started by the Boone family in 1743. The majority of the research, however, indicates that the Horlbecks planted the avenue. 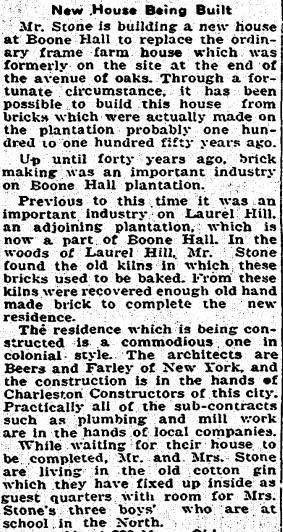 1850  According to the District Census, Boone Hall was producing 4,000,000 bricks per year using 85 slaves . 1872  The plantation was sold to Henry Horlbeck's two sons, Frederick Henry Horlbeck and John S. Horlbeck (7). The sale included 1,514 7/10 acres and a town lot and buildings in Mt Pleasant. At some point during the Horlbeck ownership, pecan trees were planted on the property. By the late 1800s Boone Hall was one of the lead producers of pecans in the United States. 1902  John S. Horlbeck leased the timber rights to the Dorchester Land and Timber Company for five years. The company was allowed to cut any oak and pine trees measuring 10 inches or more in diameter except for the oaks and any ornamental trees near the house (8). 1916  John S. Horlbeck died on May 17. He left his son and daughter (Frederick H. and Elizabeth L. Horlbeck) in charge of his estate. 1935  Thomas Archibald Stone and his wife Alexandra purchased Boone Hall Plantation from the Estate of John S. Horlbeck (9). 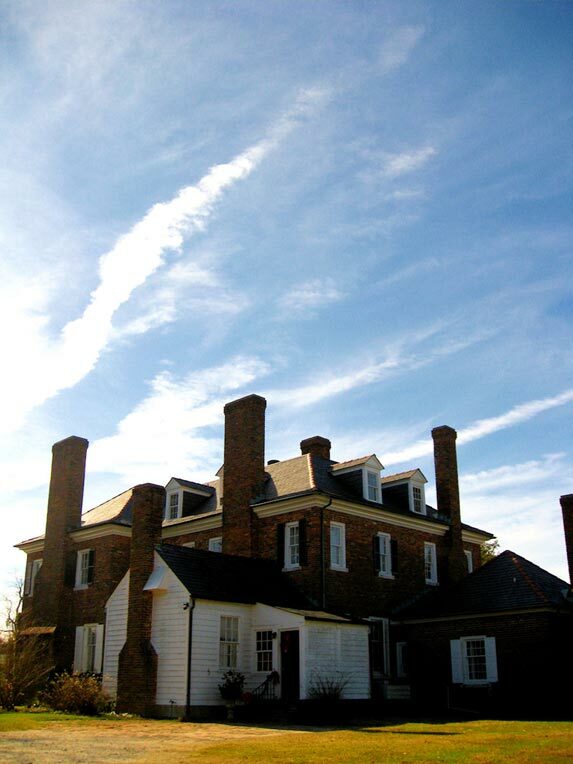 The sale included the original Boone Hall property, adjoining Laurel Hill Plantation, and part of Elm Grove and Parker's Island. The Horlbecks reserved the right to harvest the existing crop with the exception of the pecan crop. The Stones purchased a total of 4,039.5 acres which included highland and marsh. Thomas Stone kept a journal titled A Diary of Boone Hall. He starts off by describing how they came to own Boone Hall. Excerpts from the diary have been transcribed and can be viewed by clicking here. 1936  The new house built by the Stones was completed. Thomas Stone wrote in his diary about the progress of the house and the demolition of the previous house. Mr. Stone used hand made bricks that were discovered in the woods at kilns previously used at Laurel Hill Plantation (13). 1940  Thomas and Alexandra Stone sold the plantation to Dimitri and Audrey Djordjadze. The sale included the same acreage that the Stones purchased in 1935. 1945  Dimitri and Audrey Djordjadze sold Boone Hall to P.O. Mead, Jr. for $120,000. Click here to read a transcribed copy of the deed. 1955  Boone Hall was purchased by Harris and Nancy McRae. They continued to farm the land with a focus on	growing peach trees. 1959  The McRae family opened the plantation to public tours. 1980s  Boone Hall was closed to the public for the filming of North and South, an ABC mini-series based on the novels of John Jakes. The exterior of the house and the grounds were featured prominently in the mini-series. 1990s  Boone Hall was closed again for the filming of Queen, the sequel to Alex Haley's Roots. 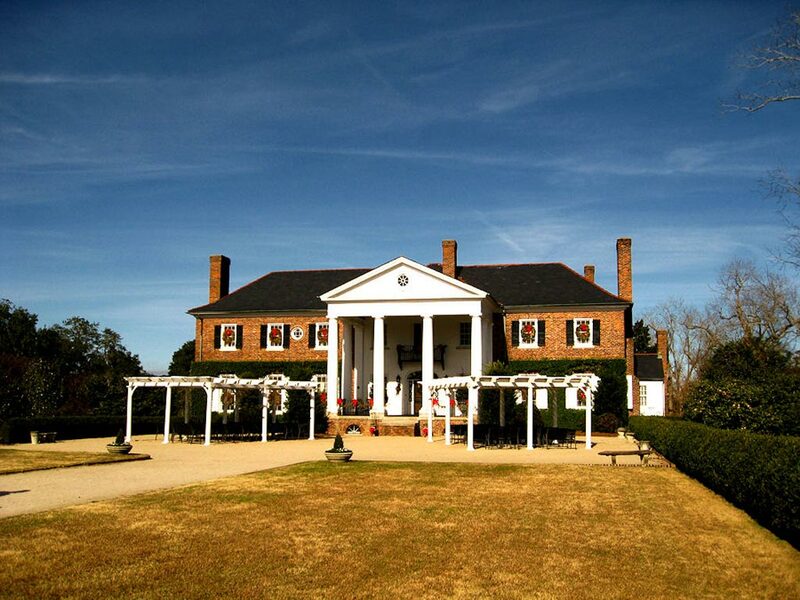 2002  The plantation was closed for a third time for the filming of The Notebook. 2007  The plantation is owned by William H. McRae. The historic grounds are still open to the public and the other half of the property continues to be farmed. The natural clay deposits on the property allowed for the making of bricks. The Avenue of Oaks was started in 1843 and is three-quarters of a mile long. There are about 88 live oak trees and one magnolia tree. Spanish moss hangs from the trees. Along the avenue is a brick grave vault. It is believed that Thomas Boone and his family are buried there. Directly in front of the house are two gardens. The brick-lined pathways create a butterfly pattern. In the sections closest to the house are primarily azaleas, and the other half consist of Noisette roses and a variety of other plants and flowers. An exact date for the smokehouse is not known but it is estimated that it was built about 1750. It is constructed of brick made on site, and the builder laid the bricks in a header pattern. The building is a cylindrical structure with a conical timber-framed roof. The roof is covered with slate shingles but it is not known what the roof was covered with originally. There is only one doorway and currently there is no door. The floor is dirt and it dips down toward the center forming a pit. An unusual feature on the smokehouse is a diamond-shaped pattern on the back. The builder used glazed headers to outline the diamond shape. There are two theories about the pattern. One is that it was a popular design of the times. The other is that it could be the signature of the builder (1, p. 5). There are nine original slave cabins still on the property. An exact date of construction is not know but it is estimated that they were built between 1790 and 1810. All nine cabins are built of brick. Like the brick for the smokehouse, the brick was probably made on site. It is not very common to find slave houses made of brick. The majority of them were made of wood. The cabins sit in a row along the Avenue of Oaks. 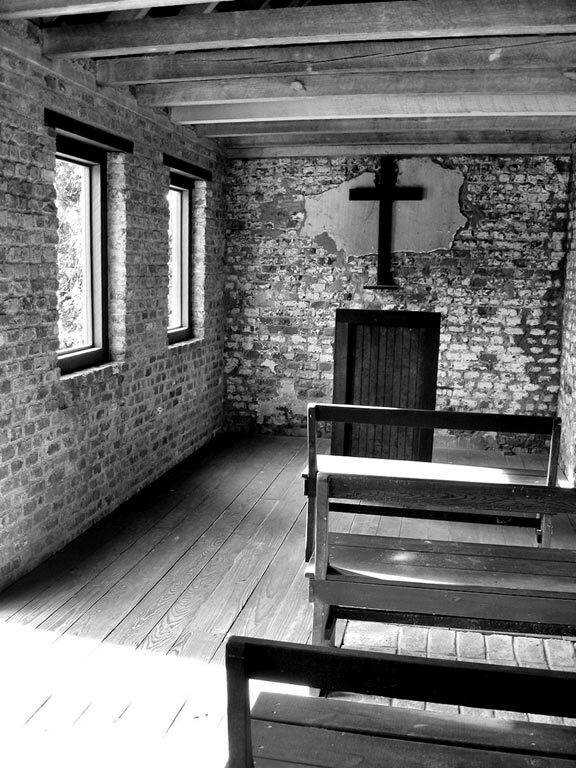 They are the first structures a visitor would see upon entering the plantation. Some suggest that this was a way for the owner of the plantation to show off his wealth. 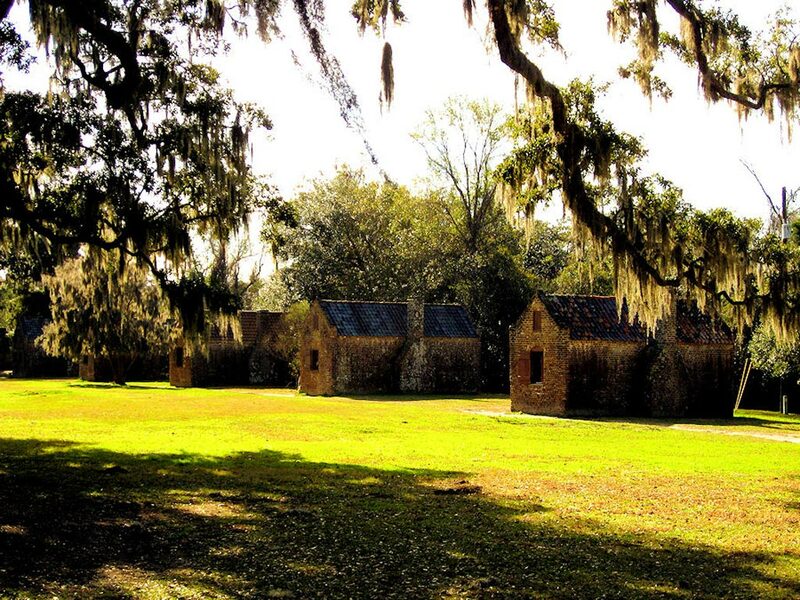 It is believed that the brick cabins at Boone Hall were reserved for the skilled slaves such as the cook, house slaves, carpenter, blacksmith, etc. The field hands probably had houses closer to the fields. There was probably more than one family living in each cabin. Each cabin has a central chimney with four windows on the facade and one on the side facing the Avenue. The floors have been replaced along with the doors and window shutters. The facades of the cabins have been repointed because they were bowing out. The cabins also have new roofs due to Hurricane Hugo (1989). The original roofs were probably clay tiles made on site. At one point they were replaced with wooden shingles. After the hurricane the roofs were replaced with tiles that were probably similar to the original tiles (1, p. 5). Like the smokehouse, two of the cabins have a diamond-shaped pattern on the rear of the structure. The cabins were lived in until the 1940s. 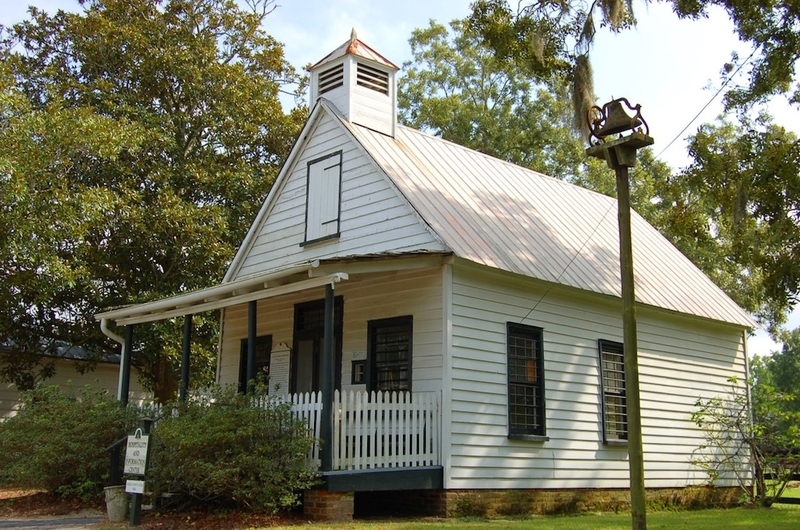 Today, the cabins house exhibits that depict the lives of slaves. An exact date of construction for the cotton gin building is unknown. It probably dates to the 1850s. The machinery used to process cotton has long since disappeared. Thomas Stone converted the building into guest quarters while he was owner. Today, the building is used as a restaurant and gift shop. 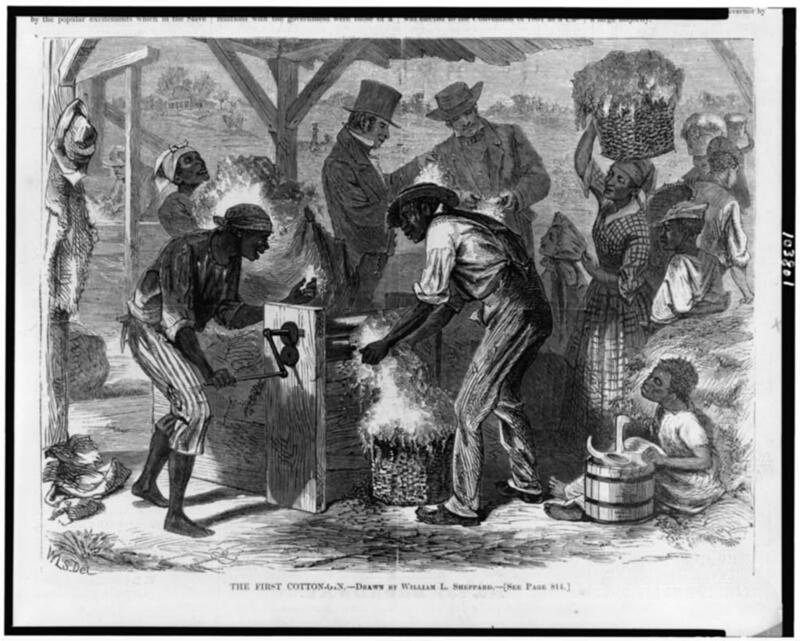 Click here to see an image of the first cotton gin. The stable building was built in 1935 by Thomas Stone. When the construction crew prepared for the foundation they discovered that another building had been on this site. Thomas Stone thought that the site was probably the location of the first stable on Boone Hall. No archaeology has been done in the area to confirm or deny his statement. The current house on the property was built by Thomas Stone in 1936. The house that was there was torn down. From pictures the previous house appeared to be a typical plantation house - symmetrical with big porches. The new house was built in the Colonial revival style. Thomas Stone kept a diary in which he recorded some information about the construction of his house. Thomas Stone used brick that was left on the plantation in the construction of his house. The house is three stories with a full basement and measures about 10,000 square feet. Unlike original plantation houses the new house has a full-sized kitchen in the house along with seven bathrooms. The first floors houses the kitchen, library, dining room, loggia, and game room. The second floor has seven bedrooms, and the third floor has two rooms, a bathroom, and a full-sized attic. During the early twentieth century many South Carolina plantations were purchased as farming ventures, hunting clubs, and private vacation retreats. An important trend was the replacement of existing dwellings with new residences considered appropriate for the historic site. Most of the new homes were designed by professional architects, often in the Georgian, Greek, or Colonial revival styles. In 1936, Thomas Stone completed a packing house and wharf along Boone Hall Creek. The building was destroyed during Hurricane Hugo in 1989 and has since been replaced. The current structure was built to resemble the one built by Thomas Stone. The Seabrook cottages were built in 1935 by Thomas Stone. The Seabrooks worked for the Stones and lived on the property as caretakers. The cottages are still on the property. One is used as an office and the other has been modified into a larger residence for the current owner. Thought to have been a commissary where workers from the 1800s went to receive their pay and buy supplies. 1872 Deed of Boone Hall. File located at the Register Mesne Conveyance of Charleston County, C-16, p. 172. 1902 Deed of Lease to Dorchester Land and Timber Co. File located at the Register Mesne Conveyance of Charleston County, L-24, p. 66. 1935 Deed of Boone Hall. File located at the Register Mesne Conveyance of Charleston County, C-38, p.151. 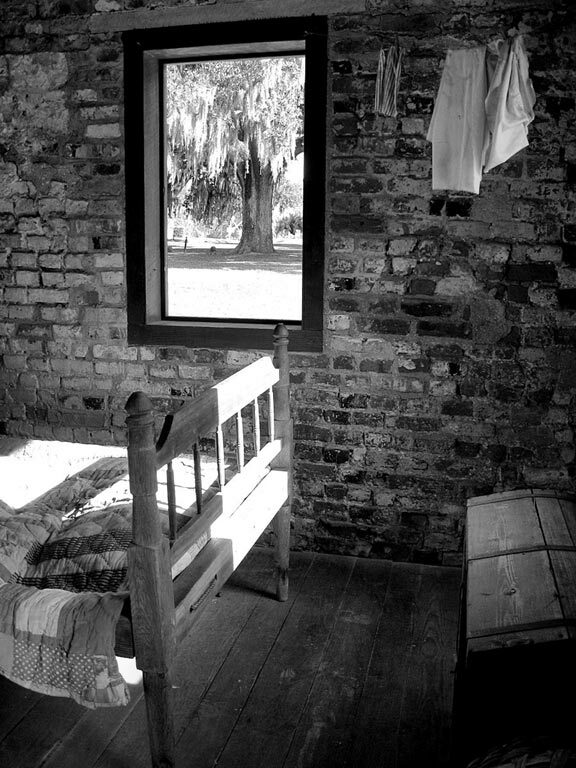 Slave Dwelling Project Wraps Up 2012 Schedule with Stay at Boone Hall Plantation - Joseph McGill, a program officer for the National Trust for Historic Preservation, documents his overnight stay in a slave cabin at Boone Hall Plantation in July 2010.